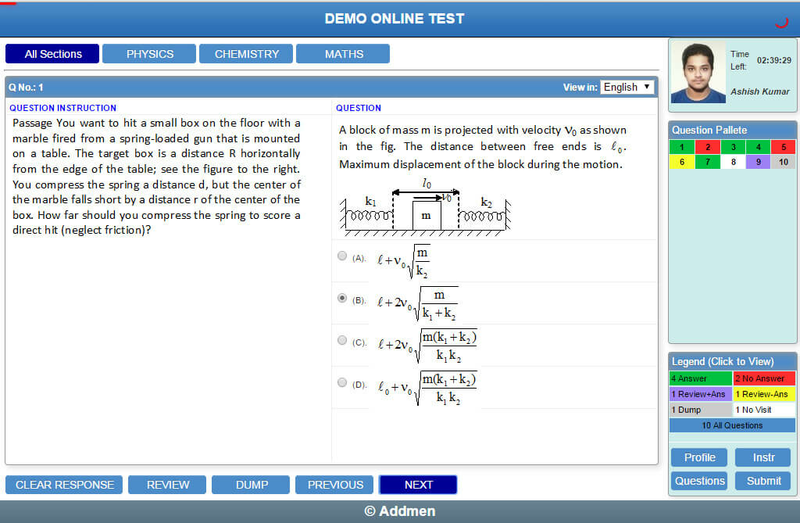 As a common solution preferred by many educational institutions and government examination bodies, Addmen exam management software helps conduct online based exams and automate the evaluation process. Candidates get the list of tests they can attempt, if the rights are permitted to the student by the administrator. 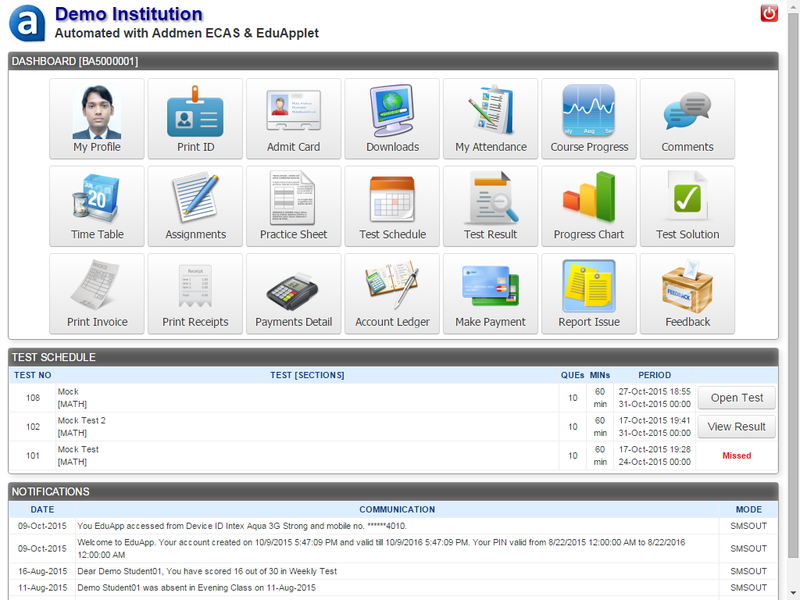 A report of all logged-in candidates can be obtained in a PDF file. Candidates can download the test schedule, practice sheets, assignments, and the study materials that are specific to their batch or group, using the Download panel. Tests scheduled in the near future will be shown with the label "Coming Soon". If the candidate has not attempted the online test within the defined test start and end date/time, it be labeled "Expired". Within the active test period, the tests will show in the list with the label "Take Test". After submitting the online test, student can be permitted to view instant test results, along with the detailed test solutions. Tests completed within the specified start and end date will show up with the label “View Result”, upon completion of the test.